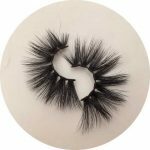 Many 3D eyelash purchasers encounter such troubles when purchasing goods. Everyone is saying that they are factories. 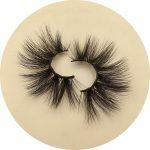 Everyone has the same picture of the best-selling products to sell to customers and says that they are 3D eyelash wholesalers. How is the difference? Customers are very headache, in fact, it is very important to find a reliable supplier. Why is it so difficult?! Teach you a few tricks. Really competent suppliers do not engage in low-price competition. Low-price competition is to quench thirst by drinking poinsettia. Competent suppliers will not sacrifice product quality to exchange customer orders. They have a longer vision and will not take into account the immediate gains and losses. Instead, they will focus more on the research and development of new products and how to achieve the ultimate quality of products. How can research give consumers different feelings? How can research bring more business opportunities to middlemen? Customers and I share the same concept, we work hand in hand to move forward! Customers and I have different ideas, but also welcome customers to find their own suppliers! Good quality and low price are marketing gimmicks. 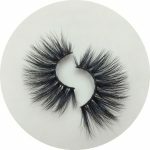 Good product quality and low price are ideal conditions. There is no such thing in real life. Only by paying higher costs, including technical cost, design cost, worker cost, business cost, propaganda cost, middleman cost and profitable stimulation in each link, can we have greater motivation to produce better products. In this passage, you have to reprocess and create your own works, just for your reference, which is the truth. Any product is first-come. 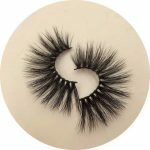 Can the supplier you are looking for recommend the latest style to you in the first place? And the product quality is high? Innovative ability is very important. 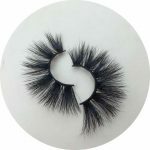 Whoever has innovative ability in eyelash products can help customers occupy the market in the first time. Delivery capacity is very important. Whoever receives the goods at the first time can occupy the market at the first time. Quality is life. Only good quality can help middlemen to stabilize customers. Professionalism, Professionalism! Only those who do things professionally can do good things and accomplish things. 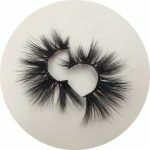 If you are in the exhibition, only do high-end eyelashes, the exhibition with eyelashes products most people, the basic manufacturers. Only posted promotional pictures, with a few models, often trading companies. Look for manufacturer on the internet: Still professional! If everyone says they are suppliers, then ask them if they do it in high school or low school? If you look at his specialty, you can conclude that he is not a direct supplier. 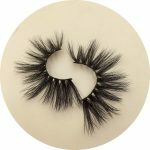 The supplier you are looking for is to buy from various manufacturers and then sell to customers. Sincerity is the highest wisdom! If everyone says he is a manufacturer, then you choose a sincere person, not eager to succeed, to be honest, if he is sincere, even if he is not a manufacturer, he can help you buy good products and solve problems. Is it possible to meet the agreed delivery date? In order to avoid being fooled by yourself, it is suggested that you do not have to rush to place large orders, and the market is growing bit by bit. First, try customer credibility from small orders. Previous post: Mink hair is expensive. 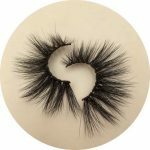 Why do consumers prefer mink eyelashes?